Dr. Croson joined the MSU College of Social Science as dean in August, 2016. Her previous positions include dean of the College of Business at the University of Texas at Arlington, professor and director of the Negotiations Center at the University of Texas at Dallas and assistant and associate professor at the Wharton School of the University of Pennsylvania. 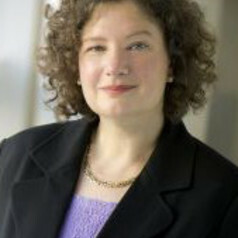 Between 2010 and 2012 she served two years as the National Science Foundation’s division director for Social and Economic Sciences. Dr. Croson’s research has concentrated on experimental and behavioral economics, investigating how people make a variety of economic decisions, covering domains as diverse as charitable giving, voluntary contributions to public goods, operations management, and bargaining and negotiation. In addition to her research, she has held a number of professional leadership roles, including serving on the board of the Committee on the Status of Women in the Economics Profession, where she was pivotal in developing and running mentoring workshops for female junior faculty.